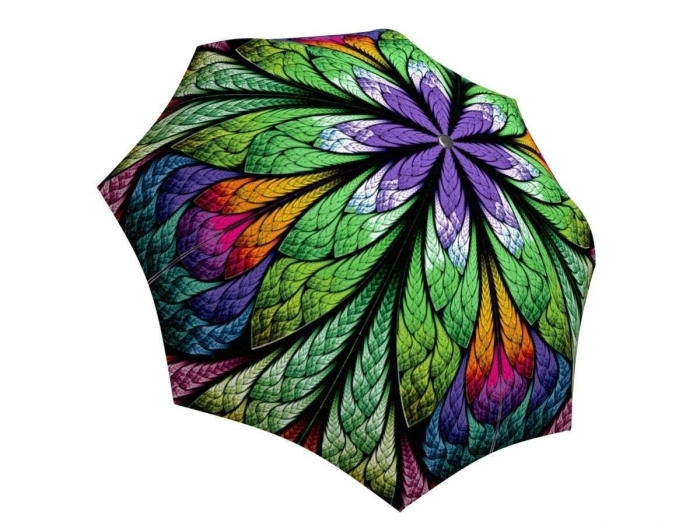 Take a peak at this umbrella with a colourful, peacock design! And since birds of a feather flock together, get one for your friend as well. 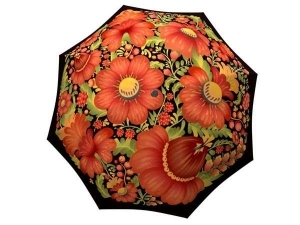 Complete your rainy day outfit with this gorgeous umbrella and you will the belle of the ball as you catch the eye of every passerby. 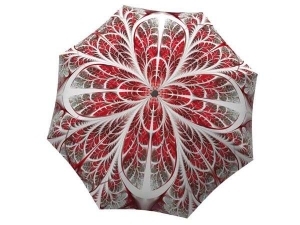 The intricate pattern of the strong fabric and well-built design makes this umbrella a must have for those gloomy rainy days to brighten up your mood. This unique pattern is also great to use as an accessory for a peacock themed wedding. 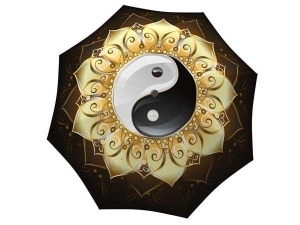 Think of the stunning wedding photography that you can accomplish while using this beautiful umbrella as a prop. 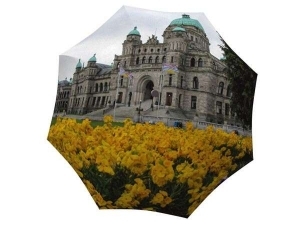 The waterproof design will also make this wedding accessory a must have in case of a weather emergency. 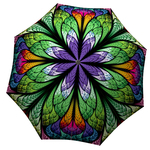 Reminiscent of a stained-glass pattern, this umbrella is also perfect for an animal-themed costume party or as a festival accessory.